Releasing a defendent on bail who faces murder charges can provoke protests in any country in the world. But this time, in Sofia, it’s a different story. 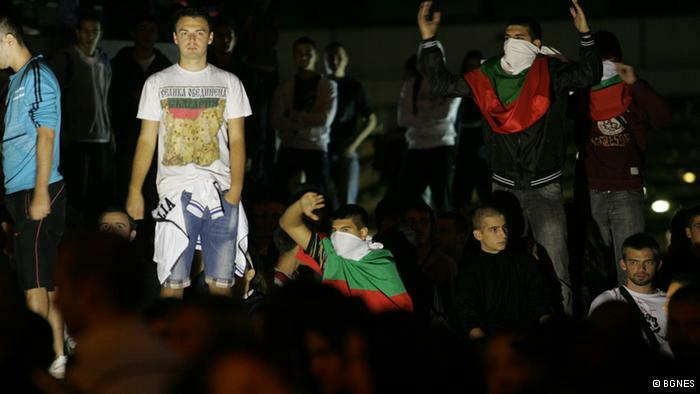 Last week, a man was released who is not only indicted for murder, but is seen as a symbol for a movement of racially motivated violence that has gone essentially unpunished in Bulgaria for some time now. Last year, Petko Elenkov, a security guard, shot and killed a Roma teenager, who had allegedly jumped over the wall of a refrigerator depot in Sofia in order to steal scrap metal. Elenkov, 50, denies any wrongdoing. A year on, the trial still hasn’t begun. Elenkov was released on a 5000 leva (2500 euro) bail prompting Roma minority groups to demonstrate on the streets, calling for justice. Nationalist and pro-Nazi demonstrations ensued. Roma, who number 400,000 in Bulgaria according to official statistics, are the largest and most frequently attacked ethnic group. But it is far from being the only target of hate speech and discrimination. At least a dozen armed assaults against African or Asian refugees were reported in the press this winter alone. Last month, a nationalist mob attacked a mosque in Plovdiv with stones, smashing the windows of a building that dates back to the 15th century. “To my recollection, only a few of these cases have been treated by the prosecution as ethnically or religiously motivated. And one of them was a case against a Roma tried for offending Bulgarians,” said Krassimir Kanev, president of the Bulgarian Helsinki Committee. An EU member since 2007, Bulgaria is still subject to special monitoring by the European Commission. Although the prosecution of hate crimes has yet to be explicitly addressed, the problem can be seen by the number of Bulgarian cases brought to the European Court of Human Rights (ECHR). Yet, the perpetrators were only found guilty of insulting a police officer. 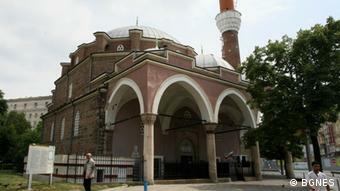 The Bulgarian court made no mention of the crime’s overtly religious dimension. “The failure of Bulgarian state institutions to impose the rule of law is being exploited to turn persecuted minorities into political and social scarecrows,” said Hristo Ivanov, a director of the Bulgarian Institute for Legal Initiatives. Many of the state institutions today are influenced by Ataka – a nationalistic party that entered parliament for the first time in 2005, winning close to nine percent of the vote. Today, an Ataka MP presides over the parliamentary ethics commission, and the party has its own representative in the commission for protection against discrimination. 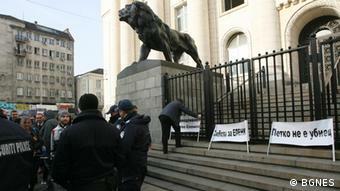 “It’s no big surprise that their rulings are often supporting the discrimination, rather than fighting it,” said Kanev. “Our estimates suggest about 30 percent of the voters would be happy to see our society tuned from multi- to mono-ethnic society,” said Solomon Bali, of B’nai B’rith, with regard to the growing trend of xenophobia in Bulgarian politics.